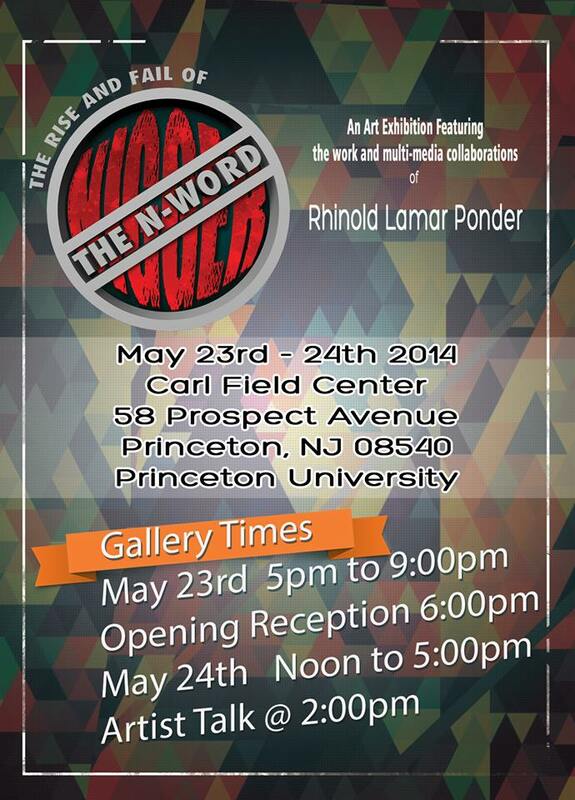 So says Rhinold L amar Ponder, who has a two-day exhibition of art, poetry, rap, and music, The Rise and Fall of the N-word: Beyond Black and White, at the Carl Fields Center next weekend, Friday and Saturday, May 23 and 24. 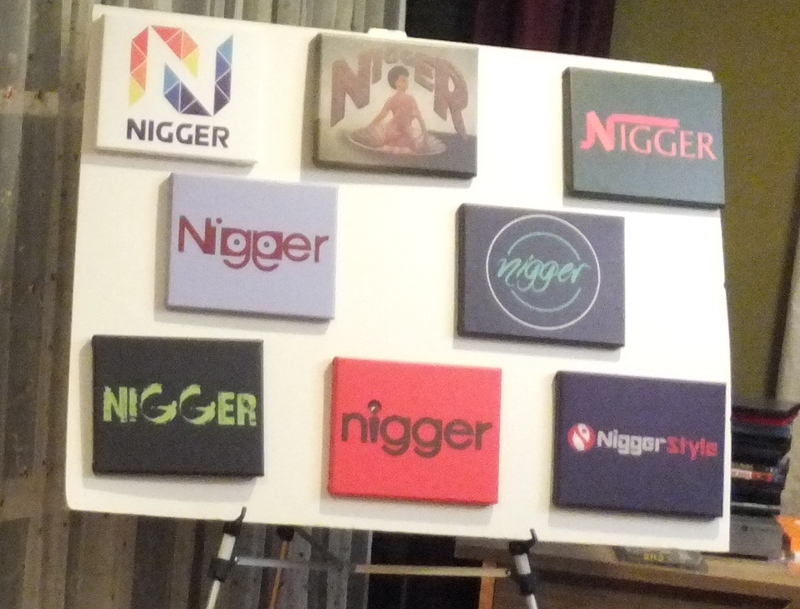 In addition to Ponder’s paintings, the show includes poetry, rap, a DJ — and logos he commissioned from artists around the world, pictured above. Ponder says this world needs a public language and environment to honestly and productively discuss the issues of race. Such an environment does exist in Princeton, I believe. Cosponsored by Not In Out Town and the Princeton Public Library, a forum called Continuing Conversations on Race and White Privilege is held on first Mondays at 7 p.m. at the library, October through June. These forums offer a friendly and confidential place to talk about important but often controversial subjects. The next Continuing Conversation is June 2.